Funding boost for street lighting | What Car? More cash for life-saving street lighting has been approved. 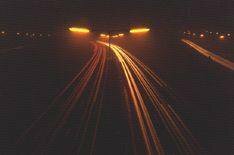 An extra 440 million has been set aside to improve street lighting, the Government announced today. Transport minister Sadiq Khan revealed plans to make the money available to local authorities through Private Finance Initiative (PFI) credits. Mr Khan said: 'Good-quality street lighting improves road safety and reduces crime and the fear of crime. Currently, 19 street lighting projects are underway in England and 10 more have been approved.